Stow homes are located in a town near the mid-western section of Chautauqua Lake. It is directly across Chautauqua Lake from Bemus Point, and is the home to the historic Bemus Point/Stow ferry. The area boasts a new fire department station, offices for the town of North Harmony, and great amenities. Hogan's Hut is a favorite for visitors and locals alike. Situated just off of I-86, this one-stop-shop has food, drinks, bait & tackle, hunting supplies, and more! The area is dotted with farm fresh produce stands during the summer months, which draw visitors from near and far. Real estate in Stow is a great choice for anyone seeking a year round getaway from the fast pace of the big city, or simply looking for a summer vacation home. Did you know that you can sign up with our website to receive regular updates of Stow homes for sale? You can also enter the search criteria of your dream home and when matches are listed, we'll send you an email right away. Register now! Stow homes are great for anyone looking for a peaceful getaway with a small pricetag. Most real estate in Stow is priced under $300,000, and the homes are majorily single-family detached houses on the lakefront or inland. 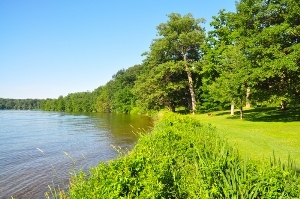 The community offers direct beach access, and those seeking green space can visit Connelly Park, just down West Lake Road. This is a truly relaxing place to spend time during any season. Come and see all that Stow has to offer. Contact Craig Gleason, your Chautauqua area expert today! A lifelong resident, Craig has all the answers to your questions about real estate in Stow. Nothing is too mundane. Don't hesitate to drop us a line today!